Women Visits Japan’s Cat Island, But Receives A Surprise Shortly After…And It WON’T Stop Meowing! Two women visited Cat Island off the coast of Japan for the very first time, and the results are simply heartwarming. “On the way to the Cat Shrine on Japan’s Cat Island, we encountered a cat that started to follow us and wouldn’t stop meowing. Locals mentioned that she was the guardian of the Cat Shrine,” one of the women mentioned. 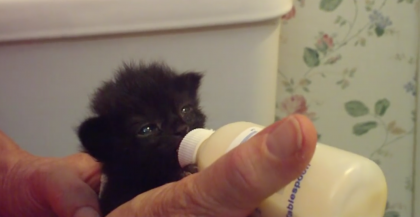 What a sweet kitty, I wish I could feed all these hungry cats!—SHARE this video with your friends! 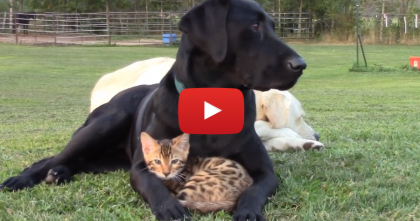 At First, You Only See One Adorable Kitten Snuggling, But Keep Watching… Omg, It’s TOO Cute!! 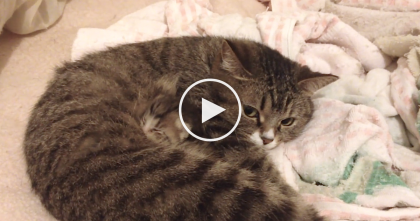 This Box-Shreading Cat Makes Quick Work Of Any Cardboard You Give Him…Just WATCH. 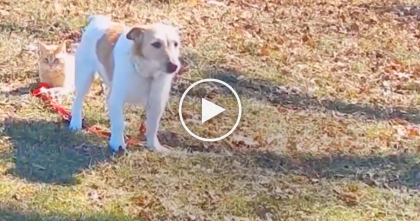 He’s Trying To Go On A Walk, But It’s Impossible…Just Watch What This Cat Does! !